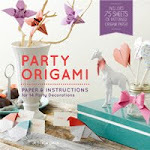 Speaking of oversized origami, look what I found on the Sweet Paul Kids site! This origami sphere was created by the ever so talented Lova Blavarg ( 17yr old craft genius). The sphere takes exactly 60 pieces to make. 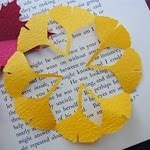 This would be a great craft to make throughout summer vacation. If you folded just one piece a day, you would have it completed by the end of summer. To get the full tutorial for this project, visit the Sweet Paul site. Thanks! 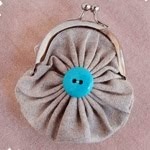 I have a boy who would love to make this!